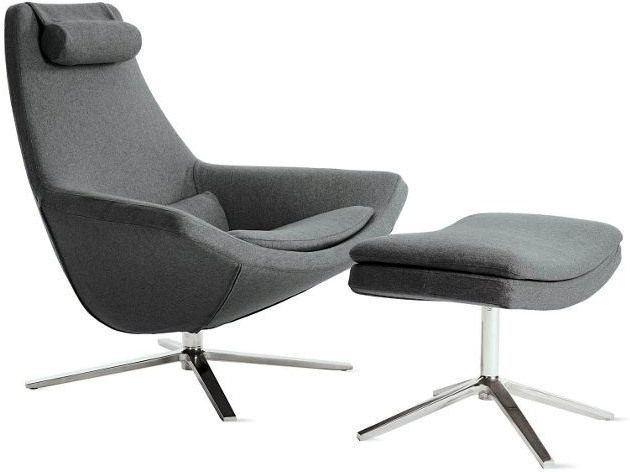 The Metropolitan Chair, created for B&B Italia, is a stylish armchair and ottoman. Sporting a high back, the design creates a comfortable and relaxing seating experience, without compromising on Italian sophistication and comfort. Made in Italy with a swivel base, this chair's neck rest is held in place with magnets so that it may be adjusted for people of all heights.